Like many Western forces, the Italian military’s experiences in Afghanistan have been a driving force in the acquisition of additional longer-range firepower at the infantry platoon level. 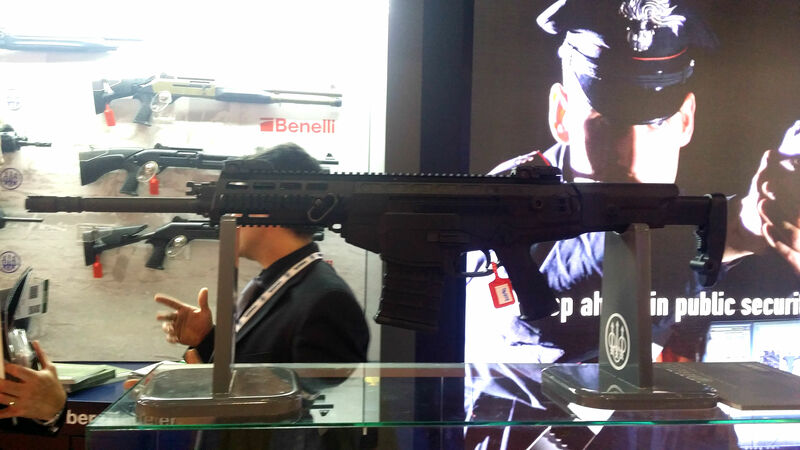 The Italian Army will be deploying the Beretta ARX 200 designated marksman rifle, chambered for 7.62 x 51 mm, in order to meet this capability requirement. 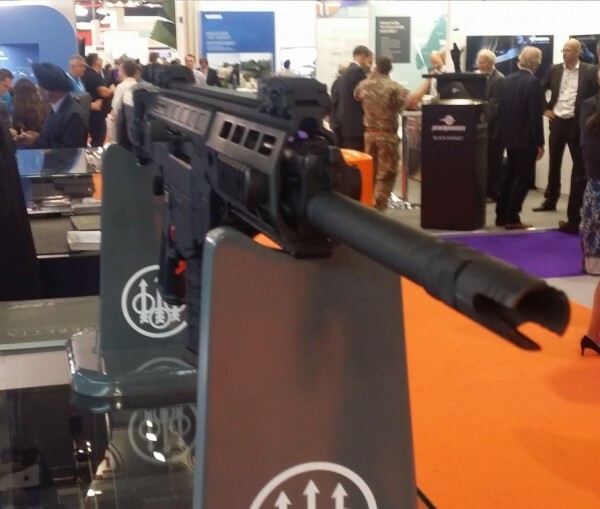 The long-awaited rifle was unveiled today at the DSEI 2015 exhibition. 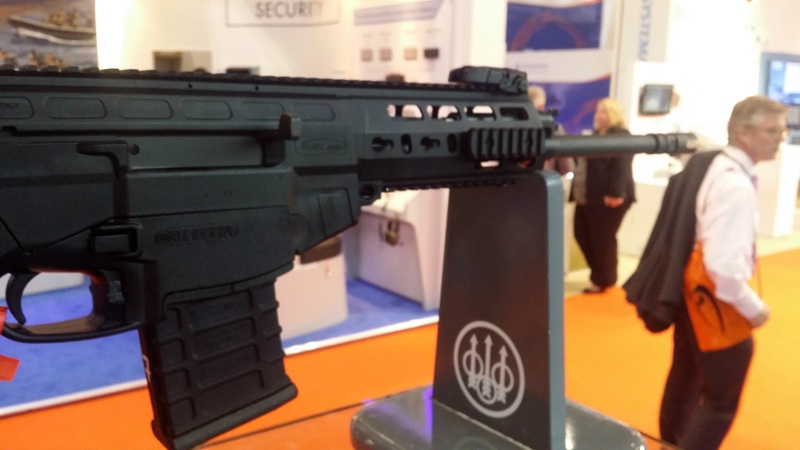 The Beretta ARX 200 on display at DSEI 2015. Externally, the Beretta ARX 200 draws its design cues from the ARX 160. It features a fully free-floated 16” barrel, polymer and aluminium construction, true ‘over-the-beach’ functionality, and a selective fire (semi-automatic and automatic) capability. The ARX 200 includes fully ambidextrous controls, and an ejection port issue seen in the ARX 160 design was also rectified. The ARX 200 differs in design from its predecessors, but shares some components, including the trigger mechanism. The rifle weighs 4.5 kg without its polymer 20 round magazine. Notably, the ARX 200 is stated as easily converted to 7.62 x 39 mm and 5.56 x 45 mm calibres, and can be fitted with an adapter so as to receive SR-25 type magazines. Full technical specifications are shown in the table below, and taken from Beretta’s product brochure. 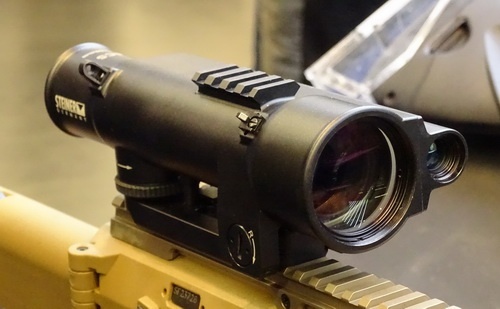 An earlier Italian military document sighted by ARES stated that the ARX 200 would include a powered main (top) rail, using TWorx Ventures‘ ‘Intelligent Rail’ technology, powering the weapon’s new “Intelligent” Combat Sight (ICS) produced by Steiner-Optics¹. The Intelligent Rail system is powered by a central, removable battery pack weighing under 150 grams. The rails comply with MIL-STD-810 for various environmental stresses, including shock vibration. 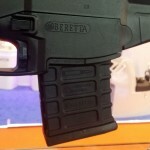 Intelligent Rail technology can be seen integrated into the ARX Carbine below, displayed at AUSA 2014, and a rail interface control system is also visible. 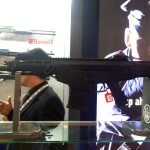 Beretta’s available marketing materials for the ARX 200 at DSEI 2015 made no reference to the Intelligent Rail system, and it appeared to be absent from the rifle displayed. The Steiner-Optics ICS features an adjustable reticule, laser range finder, inclinometer, and ballistic computer. According to an account by one early Italian Army user, it was “very effective”. The 6 x 40 sight is optimised for the 7.62 x 51 mm cartridge, according to Steiner, and is adjustable for windage and 120 MOA of elevation. 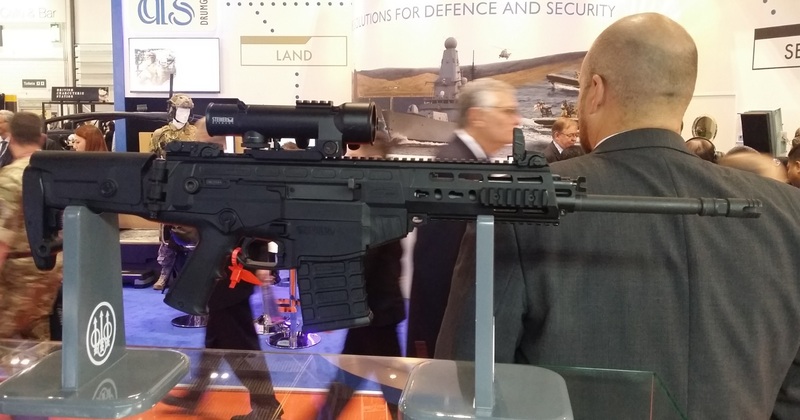 The ICS was displayed for the first time at Enforce Tac 2015. 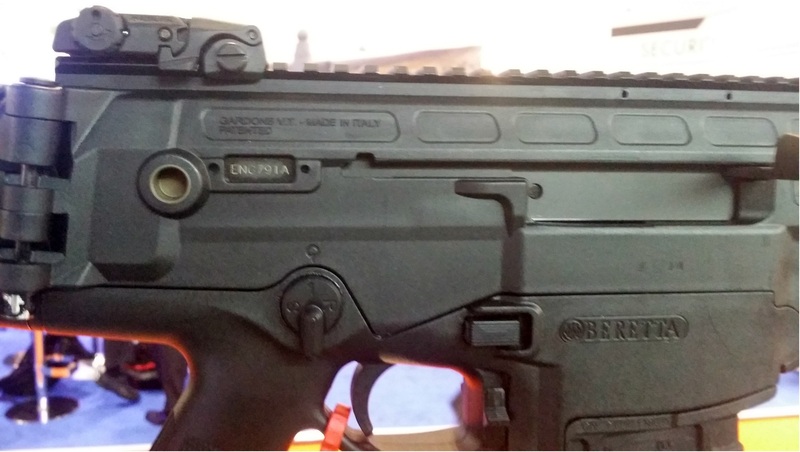 Steiner-Optics “Intelligent” Combat Sight (ICS) mounted on a Beretta ARX 160 displayed at Enforce Tac 2015. 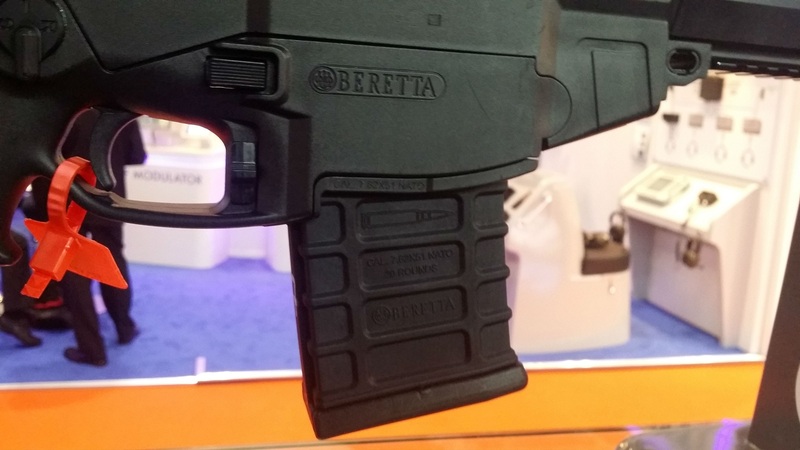 According to a confidential military source, the Italian military was anticipating a Q1 2015 delivery of late-stage prototypes for final testing, and the rifles were expected to begin entering service sometime in or shortly after June 2015. 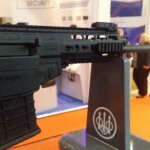 While they are not yet in service, a Beretta representative at DSEI 2015 has confirmed that the final production model will be ready for the Italian military by the end of this year. The Italian military allocated 2.5 million EUR for ARX 200 rifles in 2014, with six anticipated orders of 120, 210, 210, 90, 270, and 270 rifles (total: 1,170 rifles). This Italian Ministry of Defence document discusses a purchase of 800 rifles for Italian special operations forces (SOF) in support of Progetto Soldato Futuro (SOFUTRA), the Italian Army’s future soldier programme. The rifles will be issued on a one-per-section basis, and employed by an ‘expert marksman’ (tiratore esperto), with expected engagement ranges of 600 to 800 metres. It will remain fully compatible with components of SOFUTRA, including the recently-adopted GLX 160 grenade launcher and associated Grenade Launcher Fire Control System (GLFCS). ARX 200 photos copyright of ARES. 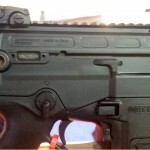 ARX Carbine photo from here. Steiner-Optics ICS image from here. Technical specifications and side profile image of ARX 200 taken from Beretta’s promotional material (image has been adjusted for clarity).